Are you ready to be your own boss? 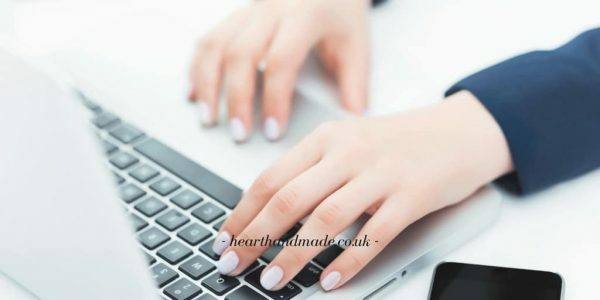 Have you been dying to learn how to start an online craft business but have been putting it off, procrastinating because you think it’s a huge job? It’s pretty easy when you know how. Which is why I’m here to hold your hand and help you live the dream of working in your pj’s all dang day. We can drink coffee and hang out in our pjs together. Productive pj days are entirely possible! Think Of A Name. Seriously, if you don’t have one lined up, then you should grab a piece of paper and do a brain dump. If you don’t know how to do that, don’t worry… it’s simple. Write down the crafts you want to sell, some keywords associated to said crafts, then do a simple word association exercise. Everything that you can think of. If you get really stuck, then you can check out BusinessNameGenerator.com. Then, use a site like NameCheckr to make sure that all domains and social media handles are available for your business. Purchase a domain and website hosting. I highly recommend Siteground for this. They have a phenomenal support team, and yes, they’ve held my hand on many occasion, so I know firsthand. Also, the prices are insanely affordable. Shopify is easy to use and affordable. If you already have an Etsy shop, you can import your items quickly and easily into your new Shopify store. You get a free 14-day trail to get set up, and you can start selling in your own, secure e-commerce shop! As well as anywhere else you please. The best part of having a Shopify store is that you can sell directly through Instagram. How amazing is that? Using a site like Soldsie/Have2Have.it- you get your own custom URL which allows you add multiple links to your image posts. 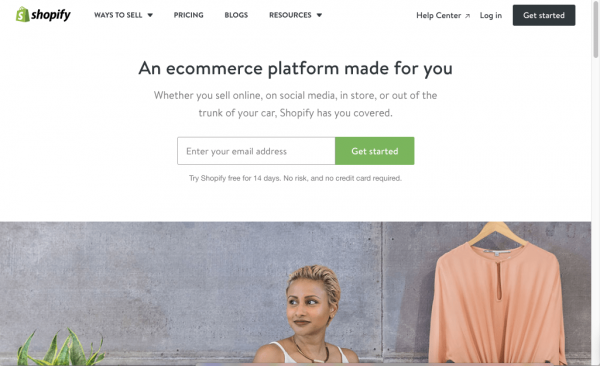 Now is an insanely exciting time to register and launch your Shopify store, because Shopify has launched their Build a BIGGER Business Competition. Every year, for the past seven years, Shopify has helped launch over 100,000 businesses through their Build A Business program. The one question is, can you sell the most? This year, it’s not just for total beginners to Shopify. If you’re already a Shopify seller you can 10x your successes with the help of amazing entrepreneurs and coaches like Tony Robbins and Tim Ferris, who will be there to guide you along the way! Click here to learn how you can 10x your success with the Build a BIGGER Business Competition! All you need to do first is enter your e-mail address to start your free trial. Your payment method is how you will get paid. Go to Payment Methods by going to Shopify Admin Dashboard>Settings>Payments. You’ll see a few different options including Paypal, Shopify Payments, Amazon Payments, etc. Paypal is probably the most popular method of payment but choose whichever you prefer. For Paypal, you input your PayPal email address to activate. For Shopify payments, you’ll go through a short questionnaire to get set up with their payment service. In the Shipping Methods section, you’ll set your shipping rates for Local and International shipping. This section won’t take long at all. Shopify staff has tested the themes in the Shopify store, and they only accept the very best of the best from theme developers. I’m telling you this because there are a lot of themes floating around the interwebs and to get the best quality for your store, go with the ones chosen by Shopify. There are both free and paid themes available. To get to the theme store, go to Shopify Admin Dashboard>Online Store>Themes>Visit Theme Store (in the upper righthand corner). There are a lot of really nice themes in the Shopify store, and really, it’s a matter of preference. As with any online store, there are a few essential pages that you need to add before you will look like a legit online shop. Head over to the Products section to add your store products. That’s it! If your product belongs to a category, go to Collections to set up. For example, if you are selling Kawaii Stationery and are categorising the stationery according to type, some Collection names might be Pens and Pencils, Journals and Notebooks, Planners, etc. The Collection name will be visible when you’re adding listings so you can add products to the appropriate collection. And that is it. Seriously. It’s not actually as scary or big as it seems. One of my favourite online stores that uses Shopify is Fox And Star, my favourite Washi Tape and Stationery Emporium! Now you know how to start an online craft business, what will you be selling? What will you be called? Are you excited?! 14 Super Cute Gift Ideas For Christmas! « How To Put Laminate Wood Flooring Down In A Day! This is great! I have thought about sellings some of the wreaths and shirts I make, but haven’t ventured into that yet because I had NO idea how to get started. This post explains it perfectly and is very helpful! Hey Heather, it’s so easy to start up and get selling. Robert in the comments has also mentioned Amazon as a good platform to sell and with the launch of Amazon Handmade, it could be a great place to sell handmade stuff now too. This info is invaluable for a craft seller and very beneficial for others as well! I didn’t realize that Shopify integrates with Instagram – how exciting! I love your tat! I have been trying to figure out how to sell things online. It is complicated. I have heard of shopify, but didn’t realize it was so easy to use. I would love to sell items online, I need to do a big brain dump! Shopify is fun, but I prefer the Amazon ecosystem. Amazon allows you to sell your own stuff as well resell anything they sell. So, you get paid if someone buys your stuff or not. Thanks for the guide though. I should help those who are just starting out. I once started a small shop and Shopify was my choice! Is so easy to use! 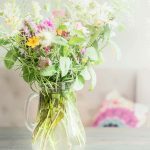 Oh my word Claire, I used Shopify but did not succeed and now I know why – thanks for explaining the process, it makes it so much easier, than guessing you’re on the right path. WIN! A Pair Of Tickets To The Kirstie Allsopp Handmade Fair! 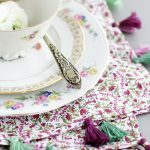 How To Make Super Simple Tassel Napkins For The Best Dinner Party Ever!